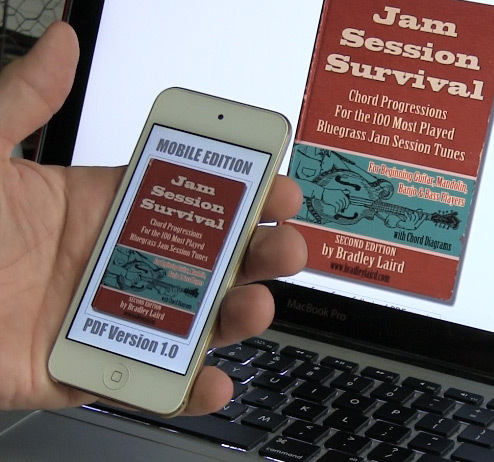 This PDF eBook contains the chord progressions for the 100 most played bluegrass jam session tunes. This PDF file has been formatted specifically for use on-the-go with mobile devices, smart phones and tablets. For less than the price of a fancy cup of coffee or a cheap set of guitar strings you will have, at your fingertips, the chords to the bluegrass jam favorites. It's a lot more fun to join a jam session if you know the right chords! Important note: No PayPal Account Required!